Along 12 km of coast you can choose between hidden, steep creeks or equipped beaches, every each one more beautiful than the other ! You will have the choice to unfold your towel over the fine sand on the Big Beach of the Lavandou, St Clair, the Fossette, Aiguebelle, the Elephant, Jean Blanc, Rossignol, The Layet, Cavalière, Cap Nègre and Pramousquier. Nautical and subaquatic activities are proposed, or you can just being lazy and enjoy a farniente in the sun. The numerous beach managers shall allow you to settle down in front of the sea, maybe tasting a grilled fish accompanied with refreshment while watching the sun set ! Brought to the rank of municipality in 1913, this former fishing town welcomes you to go out and explore its paved streets. Saint-Louis, the former old “castle” which has become the tourist office, sits at the entrance of the main plaza. Lose yourself in the old village, visit the church or watch the infamous game of pétanque. The place inspired numerous, writers, painters and other celebrities (Jean Cocteau, Theo Van Rysselberghe, Henri Edmond Cross, François Rabelais). Some of them even settled there. 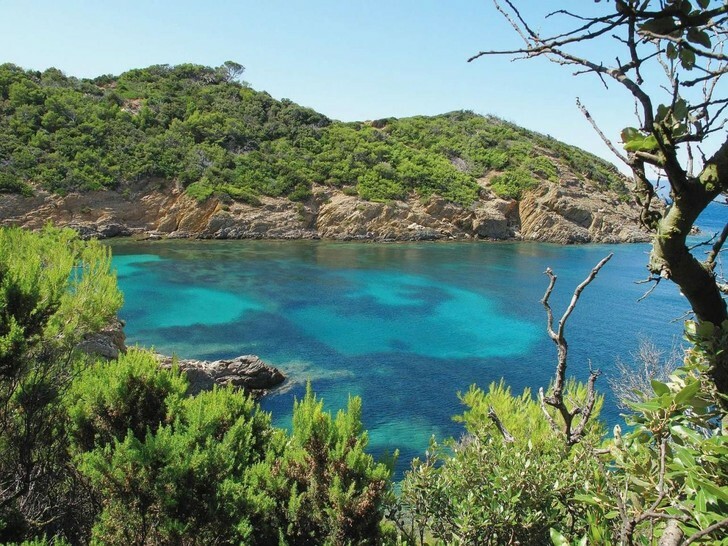 At 200m on foot of your hotel you can embark to the Golden Islands to discover the Iles du Levant, Port-Cros ( National natural reserve) and Porquerolles. The Ile du Levant : only a small part is accessible, as it is essentially military ground. But you can stroll in the village there. The island is also recommended for the adepts of naturism. The island of Port-Cros is the wildest. 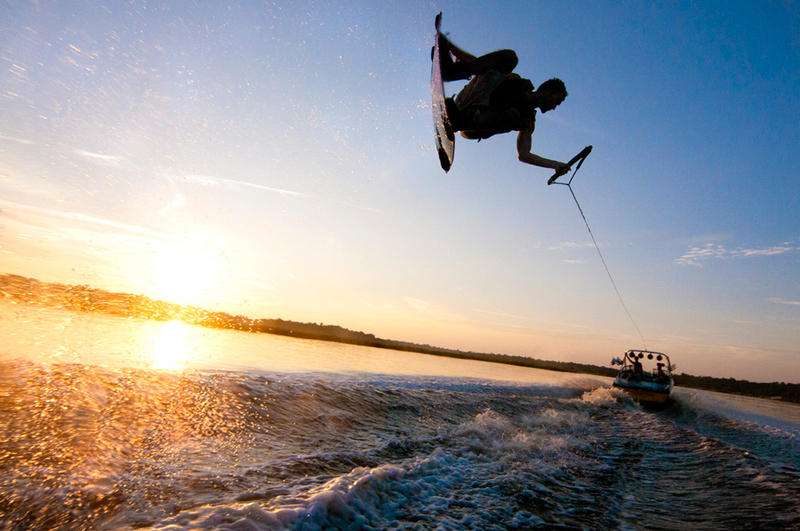 Let yourself go among its smells, its beaches and its hiking trails. We recommend you to have a break before you return at ” The Provençal Inn ” to order a fresh Mojito while watching the sunset. The Island of Porquerolles is more crowded but still beautiful ! You can discover it on a bicycle (on-the-spot rent) or taste some wines harvested and made on the spot, or bask on its paradisiac beaches, or just walk around in the village! 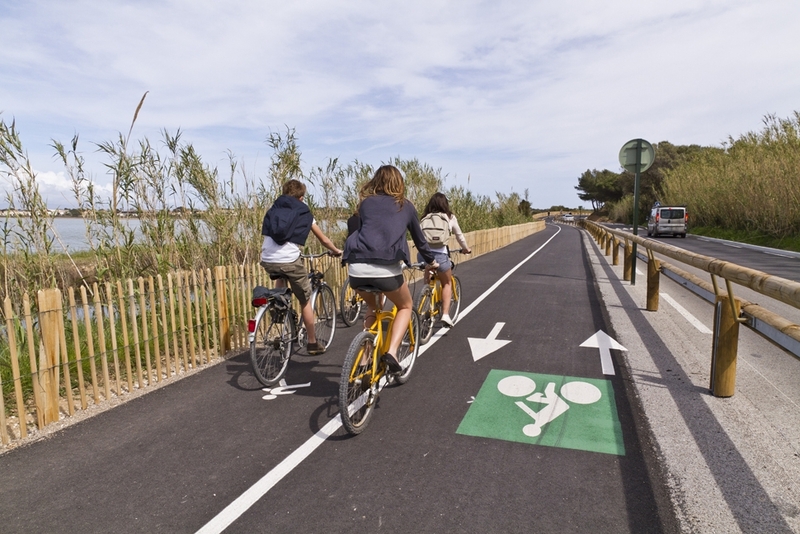 The coast cycle track crosses 20 municipalities between the gulf of Saint Tropez and the Esterel, following the layout of the former Provence railroad track. The section of Le Lavandou offers you more than 12 km of stroll on a road along the coast, offering awesome point of views upon the bay and the Golden Islands. You can keep cycling along the coast up to Saint Tropez! How can you visit la Provence without tasting its delicious vins rosés cultivated along the hills of Bormes les Mimosas? 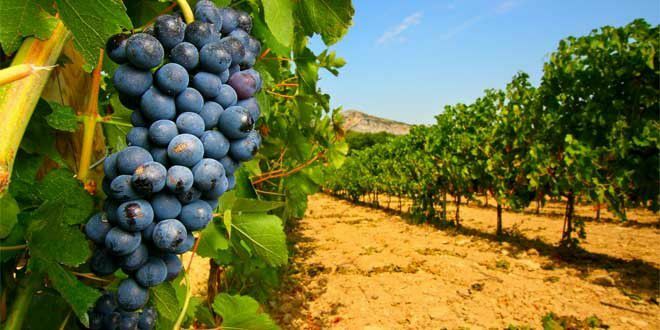 From the castle of Brégançon to La Londe les Maures, you will certainly have fun discovering these numerous vineyards (Bregançon, Léoube, Domain of OTT…). Some of them shall invite you to trail around in their vineyards. You can also stop on one of their private beaches to put down your towel there and bask at the water’s edge turquoise! 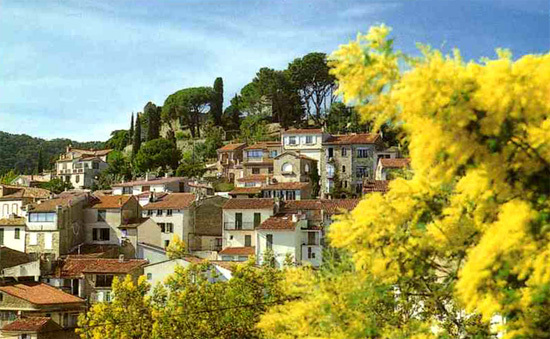 Sitting atop the hill, over le Lavandou, the village of Bormes-les-Mimosas is one of the ” small Provençal jewels”. Authentic and typical architecture ! Lose yourself in its old paved streets ! Passing through “Lover’s Alley”, up to the castle, take your time and sit on a bench there, to admire the bay of Lavandou overview, and the golden islands. 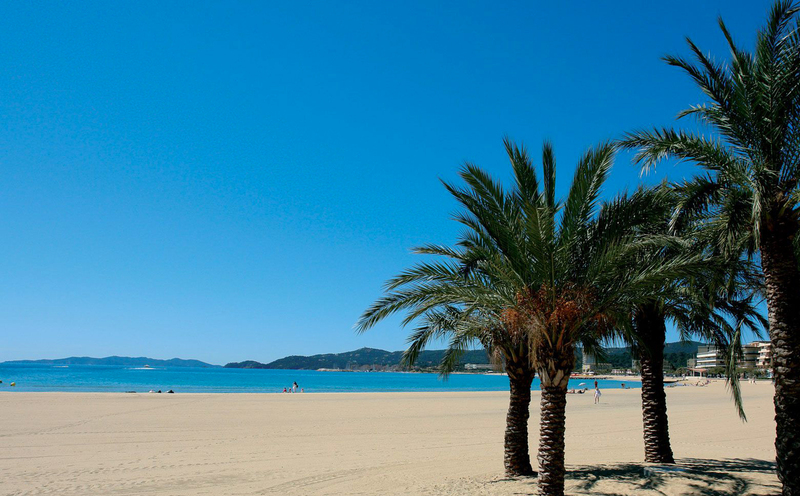 Only 25 km from your hotel, no need to introduce the village of Saint Tropez! Inescapable place of festive meetings of the showbiz in the summer, it’s also surprisingly simple in winter, a real quiet and natural beauty ! 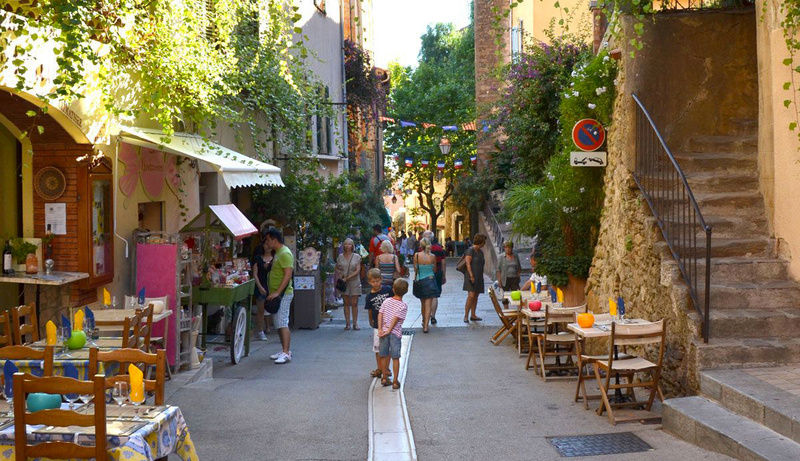 Small alleys, luxury stores, Place des Lices, beautiful harbor where the most luxurious yachts can be seen : welcome to the magic of Saint Tropez! 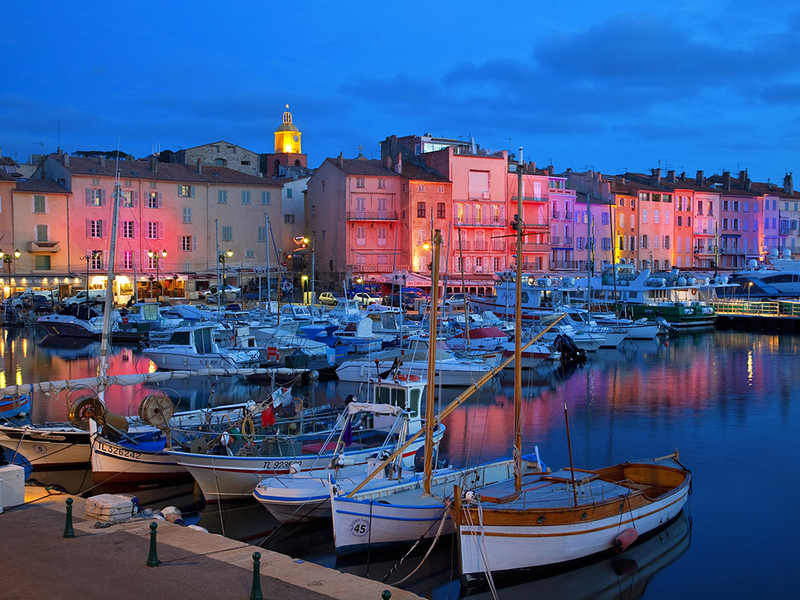 You should not miss the annual events of : the “Sails of Saint Tropez “, including the most beautiful modern or classic sailboats, ready to fight in the regatta ; or the storekeeper’s Rummage sale ; Fishermen’s Day ; International Polo Cup ; the “Nights at the castle of Moutte” festival, and numerous other exhibitions.